I liked Abraham's (ODL Design) suggestion that I source an inexpensive Olympus EM-5.2 and use the hi-res mode in conjunction with the 8-18mm Panasonic/Leica lens to make very high resolution shots for my upcoming architectural photography projects. I have one modification that I'd make to his suggestion and that is to try the process with the Panasonic G9 as I like the finder better and it can generate equally large (or bigger) raw files. The detail that remains to be see is whether or not the 8-18mm lens will actually resolve 45+ megapixels of resolution on the camera's very dense sensor. 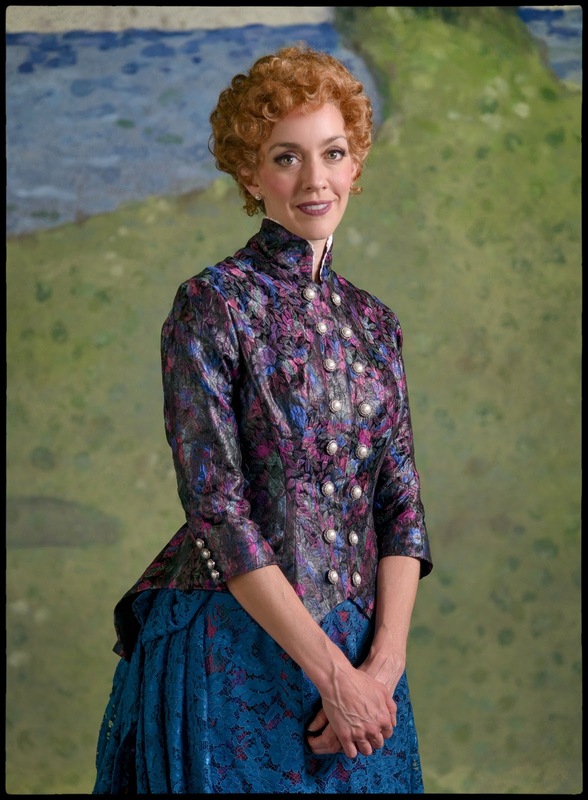 Portrait of Jill Blackwood as "Dot" in the Stephen Sondheim play, "Sundays in the Park with George." From the production at Zach Theatre in Austin, Texas. We were doing marketing photographs for the new play and we were warming up with with some individual portraits. Jill was my first subject of the day and she stood patiently as I fine-tuned the camera and lighting settings. I've photographed Jill many times over the years and really admire her acting talent. And her tolerance of photographers who fiddle with their cameras too much. We were doing a shoot within a shoot on that rainy Friday. I was photographing the principal actors while a photographer from the local newspaper was photographing me photographing the models and a video crew was also filming the actors, me and any other other B-roll they thought they might need in order to complete their production. Since we had a three camera video crew in tow I decided to light the stage and the set with continuous lighting to make the motion shooting easier. If I had used flash on the dark stage there's no way my skimpy modeling lights would have provided the right illumination for noise free video, and the video is a big part of ourmarketing push. This is not one of the frames the marketing team chose. I use it here because it's one of the quiet moments in a shoot that is a photo of the transition to the next moment. It's just a quiet moment. I used a Nikon D800 and the 24-120mm f4.0 VR lens to take the series of images and I used an Gitzo tripod for system support.